Hayden was tortured for many years in a science lab, where tests were run on his skin. Even before the testing began, Hayden was enslaved from birth by having been bred to be hairless, so as to facilitate testing. This is just one of many examples of how domestication and breeding violate the bodily autonomy of nonhuman animals— by strategically designing their bodies to perform functions for us humans, rather than allowing those bodies to develop naturally and take care of their own needs. Wild pigs have evolved to defend themselves from the sun by growing thick hair, but domesticated pigs are bred to have much less hair, leaving them at risk for both sunburn and sunstroke. Pigs used for “science,” like Hayden, are bred to be entirely hairless, increasing their exposure to the sun even further. In a natural environment, Hayden would already have been at a disadvantage; then, he was sentenced to years in a laboratory. As you can see in the image above, Hayden’s skin is permanently distinct from that of his brethren. It is dark brown and coarse, and the good people at Harvest Home Sanctuary in Stockton, CA, who are now his caregivers, must put sunblock and lotion on his skin regularly. Amazingly, in spite of everything he has been forced to endure at the hands of humans, he is a very trusting and friendly individual. Shy at first, if you spend time near him quietly and give him his space, he will eventually warm up to you, and before you know it you are snuggling with him. I have chosen to share Hayden’s story for several reasons. The first is to highlight the irreparable harm that breeding causes to nonhumans, and reiterate why I think it is such a fundamental aspect of the Animal Liberation Movement— they can never come even close to being “free” or “autonomous” if we keep breeding them and altering their bodies before they are even born. Hayden is also illustrative of the resilience of spirit of which nonhuman animals are capable. While we humans often struggle to forgive one another for far less egregious wrongdoings, Hayden is still capable of trust, and does not hold all of humanity responsible for what a corrupt human industry has done to him. 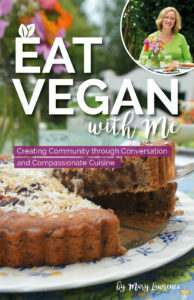 Hayden’s story also serves as a reminder that veganism is not a diet. So many campaigns and so much rhetoric around veganism focus on what people eat vs. what they do not eat. Hayden was never in danger of being eaten, but that doesn’t mean he should be exempt from our efforts as vegans. We must remember Hayden, as well as the scores of nonhumans whose bodies are used to make handbags and shoes, and who suffer various other abuses while still living, when we speak of veganism and encourage others to go vegan— not just focus on what’s on their plate. Finally, I hope this will inspire folks who have not already done so to get involved with their local sanctuaries. The ways in which you can support sanctuary work abound. You can donate your time by volunteering on-site, if you are able. You can donate funds or supplies; many sanctuaries have a Wish List on their website and/or in their newsletters, including cheap and easy-to-find items, such as towels and blankets. Even just spreading the word and bringing others to sanctuaries— particularly those who are used to regarding nonhumans as food, clothing or accessories rather than friends— can do wonders for the movement. Such an uplifting and touching story! It is so true that veganism applies to more than what we do and do not eat. Animals in laboratories suffer terribly, and all to often unnecessarily, for cosmetics and other domestic products. Fur farms are a living hell for animals and I find it disgusting that people still want to buy fur, knowing the cruelty its production inflicts on animals! Really enjoyed this and wish Hayden all the best in his new home! Animals do forgive, don’t they!? 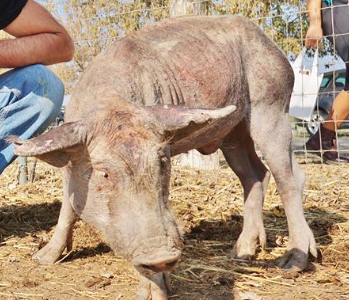 And so many people mistreat them & what has this pig done to anyone…nothing & he did suffer. People forget….they are animals & so are we. They are much nicer; we are cruel. Many postings are upsetting even though I know there are good people out there who care.